A modern take on a classic city bike. 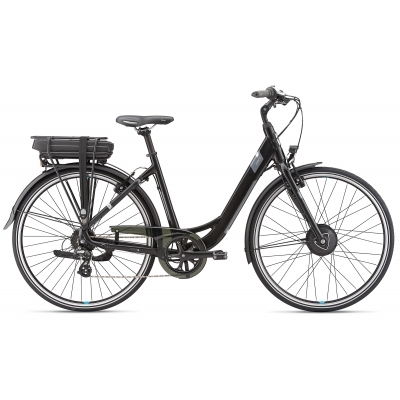 The Ease-E+ offers the comfort and style of a traditional bicycle with added power. Tackle anything as you flatten hills and embrace the future of uncomplicated mobility. 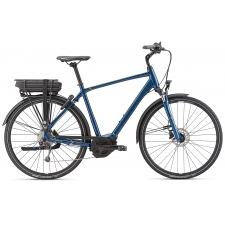 The low step-through frame combined with Giant's unique oversized headtube creates a bike that's easy to control and ride. The SyncDrive F front hub motor has a unique silent clutch roller mechanism - allowing you to roll freely without resistance whenever the motor is not supporting you. The SyncDrive F motor gives you a smooth and silent ride, control, speed and safety are quite literally no sweat. 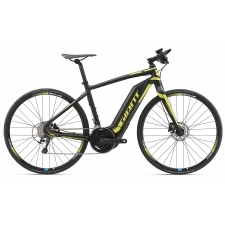 Featuring power boost function which acts as a walk assist for easily moving the bike around or adds extra power during pedalling. 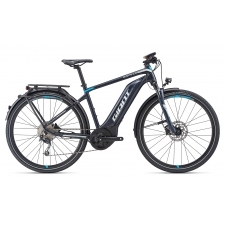 Buy your Giant Ease-E+ 2 Electric Hybrid Bike 2019 from Revel Outdoors.